This might seem intimidating, but with the right guidance, people getting established in the industry can start off on the right foot and establish a name for themselves. So what do you need to watch for? 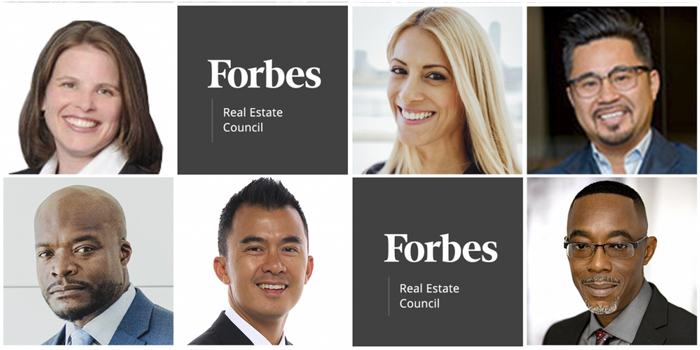 Below, members of Forbes Real Estate Council share some essential tips that every first-time real estate developer should know. A 66-story skyscraper planned for a parking lot next to Hotel Figueroa in Downtown Los Angeles appears to be moving ahead on schedule. Called Figueroa Centre, the proposed glassy condo and hotel tower has been quiet for a little more than a year. 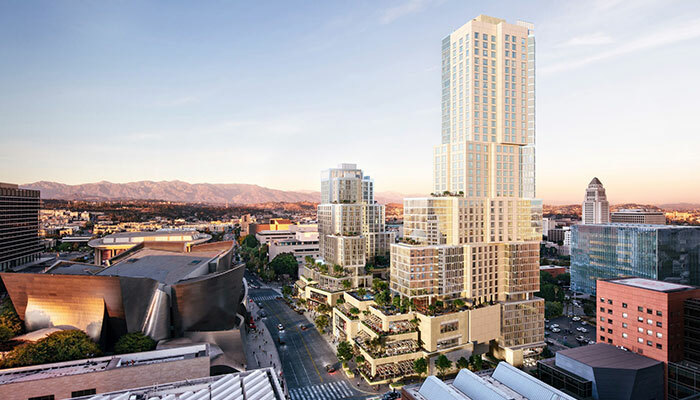 But now plans for the CallisonRKTL-designed project at Figueroa and Ninth are slated to be presented tonight to the Downtown LA Neighborhood Council’s planning and land use committee. Figueroa Centre, as proposed, would hold 220 hotel rooms, 200 condos, about 79,000 square feet of retail, restaurant, and possibly office space, and 578 parking spaces. The project’s developer, Regalian LLC, is seeking approvals from the city to sell alcohol in up to six locations within the project. Slated to break ground in 2020, the tower would rise in a neighborhood that is expanding vertically. A few blocks west of the site, the third and final tower in the Metropolis project is slated to open later this year. At a site near the 110 Freeway and Olympic Boulevard, a development with a trio of high-rises up to 65 stories is working its way through the city approvals process now. Regalian has projected its skyscraper project could be finished as soon as 2023. 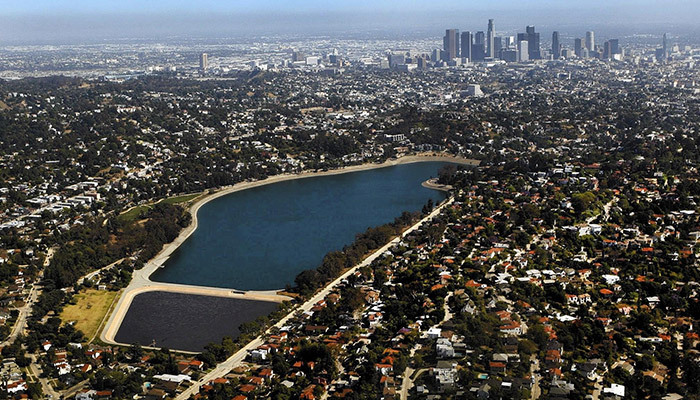 Landscape architecture firm Hargreaves Associates has been chosen to guide the future of the Silver Lake Reservoir. The team, one of three finalists for the job, was approved Friday by the board of public works. 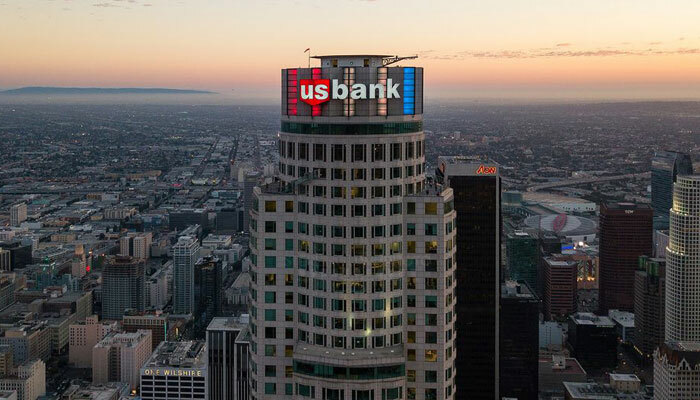 A spokesperson for the engineering bureau says the department should receive the last needed approval—from Mayor Eric Garcetti—by the end of the week and kick off the outreach process shortly after. Though the Silver Lake Reservoir was once used as a water source and water storage for the city, it’s now transitioning to a new role as a community space and asset. Updating the master plan—a process which is being led by the bureau—will steer future improvements and reuse of the reservoir site. 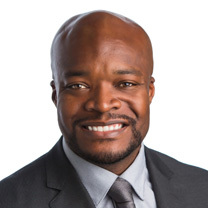 “Key to their success is their expertise in community engagement, which will be an important aspect of the planning process,” City Engineer Gary Lee Moore said in December, when Hargreaves was recommended for the job by the Los Angeles Bureau of Engineering. Hargreaves faces the daunting task of attempting to balance the past and present of the reservoir with its possible future. The firm will need to take into account the needs and desires of the surrounding neighborhood as well as the reservoir’s “historic character, its use as a community gathering place, its strategic location within the Silver Lake community, its visual impact, its long-term environmental value, and its potential for a unique blend of passive and recreational opportunities,” the bureau said. The last time a master plan was adopted for Silver Lake and the adjoining Ivanhoe Reservoir was in 2000, when the reservoirs were still a part of LA’s water supply network. That plan steered the installation of walking trails around the complex and the opening of the Silver Lake Meadow in 2011. Hargreaves Associates has another high-profile project underway in the city—the park that will eventually open beneath the new Sixth Street bridge. 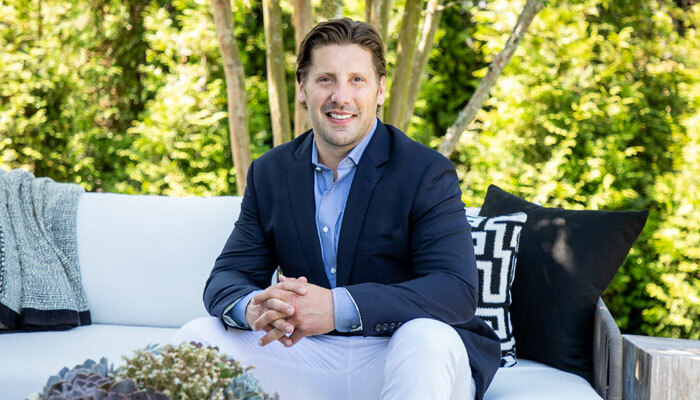 With over 12 years of real estate experience and $1.5 billion in real estate sales, Compass' Matt Breitenbach has made a career selling the East End to some of the world's most highest profile buyers. From basketball players Jason Kidd and Kyrie Irving to actor Jeremy Piven and singer Trey Songz, the approach is always client first and personable. In his latest chat with Hamptons, Breitenbach shares the property-buying secrets that both athletes and celebrities have taken advantage of in the East End and how the Hamptons have become one of the hottest places to invest right now. Real estate, much like entrepreneurism, is a very trendy topic right now. People like real estate—including me—because it’s something you can control, it’s a harder asset, it’s tangible, and you can look at it as an investment and revenue stream. If you want your money to make money, this is the place you need to buy property in. The Hamptons are a target market for athletes. It’s a brand now. We used to be so tied to New York City, and I think that umbilical cord is still there, but it’s not as strong as it was. The buyer has diversified. Basketball player Kyrie Irving, who I rented a house to last year, wanted to come here as soon as he finished a press conference with the Celtics; Kevin Durant, when he was getting recruited to the Golden State Warriors, had his meetings in the Hamptons, and although there are parts of the East End that are flashy, he wanted to come out here and clear his head and meet with some teams in an atmosphere such as this. They’ve realized how relaxing it is and how amazing the local population is. There’s a level of privacy and an atmosphere that is congruous to them. Some just want to rent a house in the Hamptons, there are others who want to purchase a home for family, and then you have those in the development end, who want to invest in the East End as a vehicle to make money for them. We're working to help make them money and a return on it. Some of those areas mix: a veteran buyer, who may want to purchase a home, might come out here and spot where they could invest, and a renter, who comes to the Hamptons seasonally, might eventually start to see where they could potentially buy property. The more and more these athletes and celebrities are buying in the Hamptons, the more people are realizing how special the area is. The secret is out. I try to look at real estate less as a sales transactions and more as a trusted real estate wealth advisor. I try to be empathetic to their situation, to be a source of knowledge, to see what they need, and listen to them. Once they're here, you end up being a concierge as well. They're just people, and they want you to treat them as people. Sometimes people don't want the spotlight that comes with placing a high-end property on the market. There's stuff under-the-radar that we can find or help create. If you have a need and this is what you want, you can come to me. If you need three acres on the ocean and it's not listed, I'm going to try and find it. It's a service advantage for my clients, because we do have these connections in the Hamptons. Sometimes when I'm searching for the perfect property for a client, I get other things in my quiver, which we can utilize too. For buyers and renters that come through our network, we have a multitude of different under-the-radar opportunities. Developing this private marketplace allows our team to gather and organize the correct market material to present to any client and represent them in the best way we can. We're willing to take an out-of-the-box approach to make sure the client is serviced the right way. The sports and entertainment division culture is amazing. Kofi Nartey, who runs the division, knows everyone by name. Everyone is friendly and collaborative. And it starts with Robert Reffkin's morals and how he's built this company and recruits. Compass wants to get the right people in. What's most amazing about Compass is their streamlined processes, which hold every market to the same standards from here to Los Angeles. No matter where you are, the vetting process for agents is the same. Compass is trying to amplify the skill sets of our agents and in turn, elevate the real estate industry as a whole. The first piece of a massive 24-acre residential, retail, and office project in Chatsworth is already in place. But there’s a lot more to come. Ryan Hekmat and Jason Larian of Uncommon Developers gave a status update on their sprawling project at 20000 Prairie Street, the former home of a Los Angeles Times printing plant. MGA has rented all but 40,000 square feet of the 255,000-square-foot building. Larian says the remaining space will be marketed to “ancillary businesses in the creative industry,” like companies that develop video games. Not far from the office building, 188 apartments are under construction as part of the first phase of the project’s residential portion. The apartments are on track to be completed in the summer, with the first residents slated to move in around August. About 500 more apartments are planned as part of later phases of the four-building development, all of which are expected to be in place in 2022. MGA employees will get first dibs on the apartments when they open and will get special rental rates as an incentive to move in. Larian and Hekmat note that the project is also near local colleges (California State University Northridge and Pierce College are both less than a 10 minute drive away), and they expect students to sign leases too. 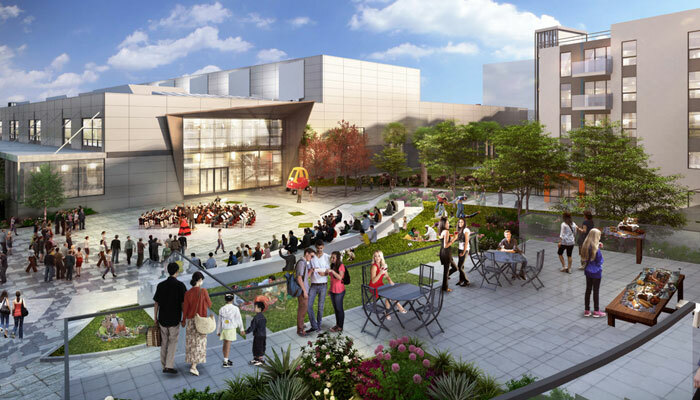 The project will contain standard amenities (pools, outdoor spaces) but “24” will also include restaurants, an amphitheater for live performances, a preschool, and walking and exercise paths that wind throughout the development. There are also plans to host farmers markets. “The neighborhood doesn’t have amenitized living like what we’re providing,” says Larian. That might not be the case for much longer. To the south, in Warner Center, a steady rush of projects are unfurling, both in the works and under construction. The projects include a major redevelopment of Warner Center Corporate Park that will add a 24-story hotel, a trio of 15-story office buildings, and roughly 1,000 condos and apartments. 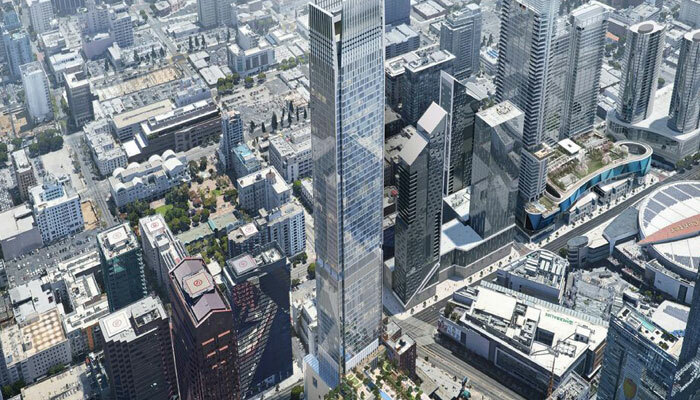 Developers of what’s posed to be the tallest building in Los Angeles and west of the Mississippi River are moving forward with their plans to transform the site of a Downtownhotel into a glittering 77-story hotel and condo tower. A representative for the China-based developer, Shenzhen New World Group, is slated to give a presentation on the project to members of the Downtown LA Neighborhood Counciltonight. The presentation comes at an interesting time for the developer. It was revealed over the weekend that Shenzhen New World and the chairman of its board, Wei Huang, were named in an FBI warrant served as part of a federal corruption probe into Los Angeles City Councilmember Jose Huizar, who represents Downtown. The neighborhood council’s approval, if given, would be taken into account by Los Angeles City Council committees as the project moves through the planning approval process. The Bunker Hill project, designed by DiMarzio Kato Architecture, would involve the reuse of the existing 13-story L.A. Downtown Hotel near Fourth and Figueroa. A school that already operates out of a building on the site would be housed in the first floor of the hotel building. The second and third floors would be converted to 224 apartments ranging from studios to two-bedrooms. To make way for the new high-rise, the hotel’s podium, which houses its lobby and convention areas, would be demolished. 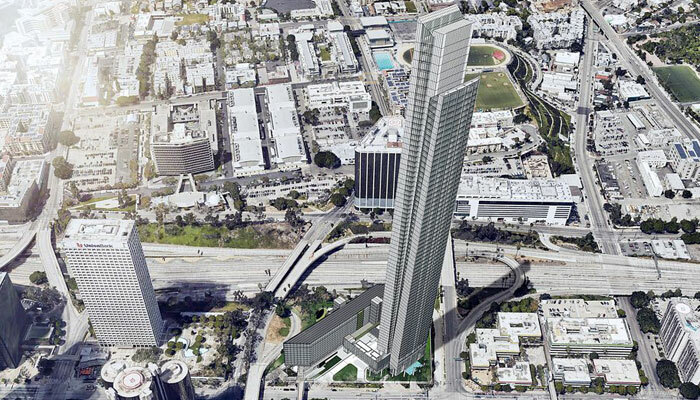 The 77-story building that would take its place would hold 600 hotel rooms and 242 condos. The tower’s five-story podium would hold the hotel’s amenities, including convention space, restaurants, and meeting rooms. Pools, a lounge, and gardens would sit on the podium’s rooftop. Under city code, the project is only required to provide 222 parking spaces, but, as proposed it would offer 552 spots. The project site is 1,500 feet away from the Grand Avenue Arts/Bunker Hill station of Metro’s Regional Connector, which is slated to be complete in late 2021. It’s also across the street from a 41-story building planned for the World Trade Center site. Entering any new industry is always daunting. No matter how prepared or educated you are, there will always be some surprising new things you learn along the way. This is especially true in real estate, where both local and national market trends can heavily impact the way you do business. 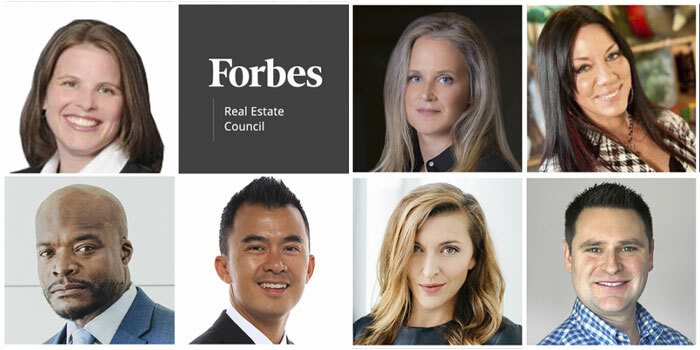 We asked a panel of Forbes Real Estate Council members what they wish they'd known before they entered the industry. Below is their best advice for real estate newcomers.